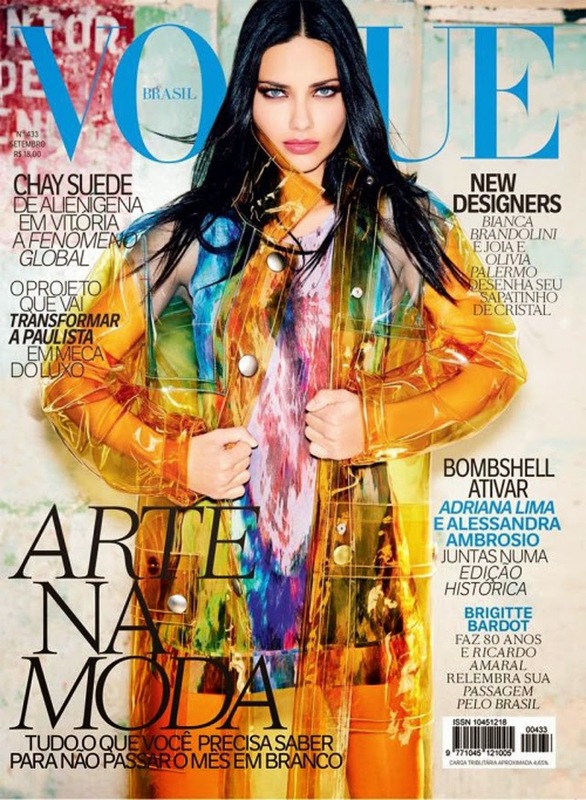 Adriana Lima is sporting some major Miu Miu for the cover of Vogue Brazil September 2014. I mean if ever there were a jacket needed in London to combat the rain, it looks like Lima has it figured out. Wowsers. A statement jacket that's actually functional - how often does that happen? Or maybe Vogue Brazil were just getting Lima ready for the ice bucket challenge? Either way, we're loving the look.